Profile - Kass Bros, Inc.
Kass Bros Inc. has been in business for nearly 65 years performing site preparation work, concrete paving, underground utility work, demolition, and excavation for private and public entities, as well as providing sand and dump truck services to many larger contractors in the Metro New Orleans area. The company is majority woman-owned and currently certified as a DBE through the Louisiana Department of Transportation and Development. Projects range in size from small residential jobs to large multi-million dollar commercial site work and public works projects. We pride ourselves on getting the job done right—safely and on time! 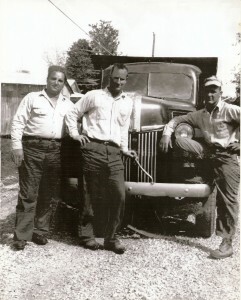 Read about Kass Bros’ history.